Color, Kashmir, Bouffants – No heroine defined the 1960s glamour better than Sadhana. Her fringe-cut, tight churidar kurtas and mojris set fashion trends of their time. But to be fair to Sadhana, she was more than just a glamour doll and was a talented actress as well with a fine gift of understatement. Born on September 2nd, 1941 and named after the legendary dancer Sadhona Bose, she showed an interest towards cinema right from her childhood. It is said that even though her parents were facing hardships, they never prevented her from going to the movies, her favourite hobby. She made her debut playing Sheila Ramani’s sister in the first ever Sindhi film Abana (1958). S Mukerji cast her opposite son Joy in Love in Simla (1960) and with its success, Sadhana became a star, a youth icon. Love in Simla saw her play a simple, bespectacled girl who is transformed by her grandmother (Durga Khote) into a beautiful young woman and encouraged to pursue the hero. The transformation was magical and also gave Sadhana her Audrey Hepburn like ‘fringe-cut’ that went on to be called the Sadhana cut! Bimal Roy’s Parakh (1960) was her next film where she was cast as a simple girl without her trademark fringe. Sadhana responded with perhaps the best performance of her career. 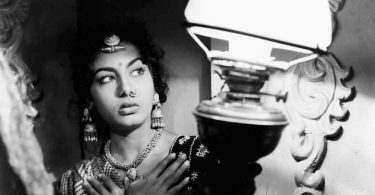 Bimal Roy while taking Sadhana in the film, said she reminded him of a young Nutan who incidentally was Sadhana’s favourite actress. Ironically after Love in Simla, when Sadhana reported for the shooting of Parakh, Bimalda almost dropped her as he now found her too glamorous. Sadhana pushed back her fringe, sprayed gel on it to make it stay and convinced Bimalda she could look simple as well. Shorn of her glamour and trademark fringe, Sadhana lets the focus be on her performance & gives a sincere, simple and understated performance. Sadhana was then seen in a series of films that set the box office on fire – Rajkumar (1964), Woh Kaun Thi? (1964), Arzoo (1965), Waqt (1965) and Mera Saaya (1966), making her the most saleable heroine of the 1960s. She also married her Love in Simla Director RK Nayyar in (1966). Of the mentioned films, special mention must be made of Woh Kaun Thi?. The film is loosely adapted from Wilkie Collins’ The Woman in White and sees director Raj Khosla create a mysteriously adequate ambience from fog-filled nights to creaky doors to abandoned old houses right from its opening on a dark stormy night. He handles the suspense elements well to keep the film and its plot moving along at an engrossing enough level with enough red herrings thrown in to keep the viewer hooked on to the events unfolding on screen. The film showcases Sadhana at her mysterious best as she goes through a range of enigmatic ‘Mona Lisa’ smiles to confuse the hero, a surprisingly restrained and consequently wooden Manoj Kumar. Sadhana does leave a strong mark in Woh Kaun Thi?, both, with her looks as well as her performances as the good and evil twin sisters. In fact, the film is the first of ‘double roles’ for Sadhana who would also play dual roles in Mera Saaya and Geeta Mera Naam (1974). Woh Kaun Thi? led to a trilogy of engaging thrillers starring Sadhana and directed by Raj Khosla, the follow up films being Mera Saaya and Anita (1967) respectively. But even as Sadhana hit her peak, during the making of Arzoo, a take off from the Hollywood classic, An Affair to Remember (1957), her thyroid problems worsened and her eyes, perhaps the most beautiful feature of her face, got affected. She was unceremoniously removed from major films like Around the World (1967) and Sunghursh (1968) co-starring Raj Kapoor and Dilip Kumar respectively. Undergoing treatment in Boston, she came back to films and some of them even were big successes – Inteqam (1969) and an adaptation of Fanny, Ek Phool Do Mali (1969), both with Sanjay Khan, but the earlier magic was missing. Ishq Par Zor Nahin (1970), Aap Aye Bahar Aayee (1971), Dil Daulat Duniya (1972) all sank without a trace and though Geeta Mera Naam, which she also directed, somewhat succeeded, she realized it was time to gracefully withdraw. Her last lot of films were Amanat (1975), Vandana (1975) and Mahfil (1981). An old, old film Ulfat Ki Nayi Manzilein, co-starring Raaj Kumar and Waheeda Rehman, released as late as 1994! She did, however, continue producing films and TV programmes with her filmmaker husband. In fact, Pati Parmeshwar (1990), produced by the couple and directed by Madan Joshi, faced major problems with the censors for its regressive theme before finally limping to a release. The film flopped at the box office. After Nayyar’s death, Sadhana willfully avoided most publicity and rarely made public appearances so that people remember her as she was in her heyday. She passed away in Mumbai on December 25, 2015. 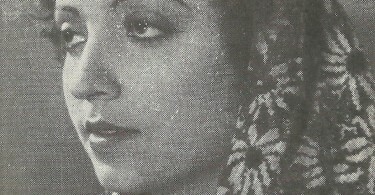 Bimal Roy Parakh Raj Khosla Sadhana Woh Kaun Thi?